This is it: the Little Pim Kickstarter has entered its final week and we have entered crunch time here at Little Pim HQ. We have already managed to reach 50% of our pledge goal and are absolutely over the moon about this accomplishment. Your generosity and support means the world to us. Of course, that does mean we have $6000 left to raise in... oh... 6 days. No biggie. Lucky for us, we have an incredible army of mommy and daddy blogger friends helping to spread the word about our project and give us the boost we need, so we just wanted to give all of our blogging pals a shout out before the campaign is over. If you'd like to help us out with a share or a feature on your blog: (1) We love you! (2) Hit us up! The Little Pim Kickstarter is Live! Aaaand we're live! We've only got 30 days to make our goal, so let's make 'em count. We can't do this without your amazing support so click below to learn a little more about the Little Pim ebook Kickstarter, make your pledge, and share with your friends! Here! Ici! Aquí! Click here! It’s a website where anyone can pitch a creative project. So we’re pitching our ebook! If we reach our goal, we get the funds we need to make the ebook and you get your rewards! If we don’t make our goal, we get nothing and you don’t get a reward. You also won’t be charged. It’s all or nothing on Kickstarter. Little Pim Is Making an Ebook! Leaves may be starting to fall, but it’s still somehow hard to believe that the holiday season is nearly upon us again. As you know, giving your kids the gift of a foreign language early will have a positive impact for years to come… and so will introducing your kids to the cultures and countries that speak those languages. 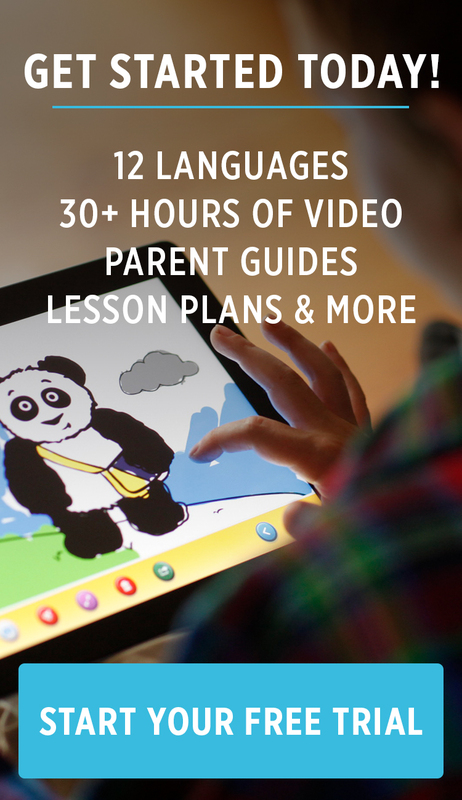 This holiday season Little Pim is making an ebook that will feature beautiful illustrations of our favorite panda visiting his friends in Mexico, France, Brazil, and China! …Maybe. A special thank you included in every copy of the book! A copy of the ebook plus your child gets drawn in as a character! Wow! The campaign should be going live next week, so please keep your eyes peeled for updates… and tell your friends! We'll be sharing more links and information in the coming weeks. Looking back at some of our old blog posts, you can see that Little Pim has grown tremendously over the last few years, and your continued support will help us make our next big leap… over the ocean!